Rees, Susan (2003) Prolonging trauma in the lucky country: the experiences of East Timorese women asylum seekers residing in the Australian community. In: Barnes, Diana, (ed.) 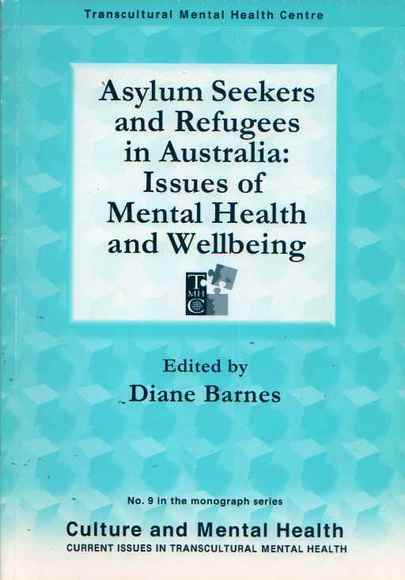 Asylum Seekers and Refugees in Australia: issues of mental health and wellbeing. Transcultural Mental Health Centre, Parramatta, NSW, Australia, pp. 80-100. [Extract] East Timorese women asylum seekers entered Australia as people who had experienced horrific human rights abuses and persecution in their homeland. Scarred and fragile, they applied for refugee status in the hope of finding security, safety and a new life. Nevertheless, because of the Australian Government's refusal to hear their claims (due to Australia's geopolitical relationship with Indonesia and its reluctance to reveal Indonesia as a persecutor of its own people), the asylum seekers' claims for protection visas were suspended.